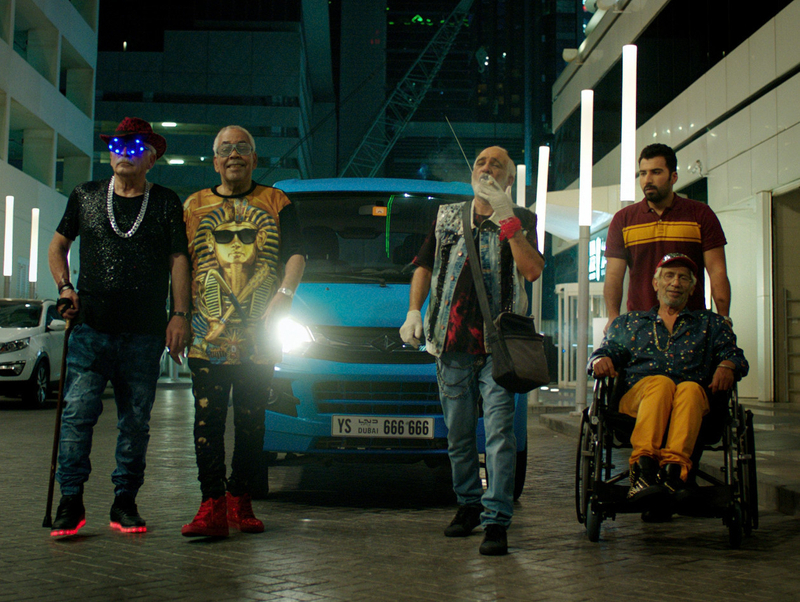 Set in Dubai, the pan-Arabian comedy Shabab Sheyab shines a light on an often forgotten segment of society: the elderly. In the vein of Hollywood films such as The Bucket List and Going in Style, Shabab Sheyab follows four friends in a senior citizens home, who come into a large sum of money and embark on a life-changing, comedic and emotional adventure. The Image Nation Abu Dhabi production is out in cinemas now — before heading to the cinema, here’s everything you need to know. 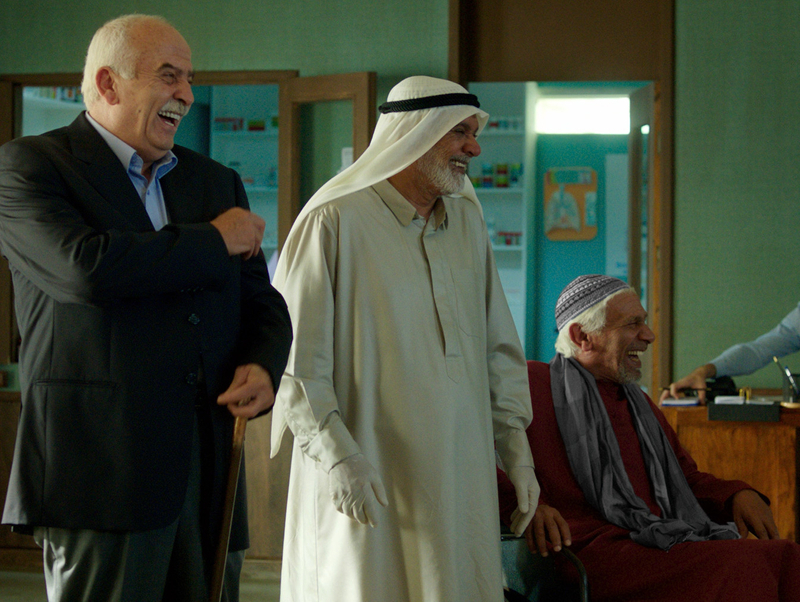 The heartfelt comedy follows four elderly men living in a senior citizens home, whose lives change drastically when one of them, the former military officer ‘Al Ameed’ Talaat (Salloum Hadad), inherits a large fortune (a whopping Dh50 million) after the death of his nephew. Encouraged by their doctor and nurse, played by Kuwaiti stars Laila Abdullah and Fouad Ali, the four friends bust out of their retirement home and follow dreams that they had all but abandoned. “It’s about living your life, living in the moment. It’s more than just a comedy — it’s a light comedy, but with a message of hope,” said Abdullah. Shabab Sheyab was adapted from Al Iraqi’s short story, On Borrowed Time. Writer-director Yasir Al Yasiri, who is also Iraqi, said it was a long journey from reading the original story for the first time, to coming up with the script. 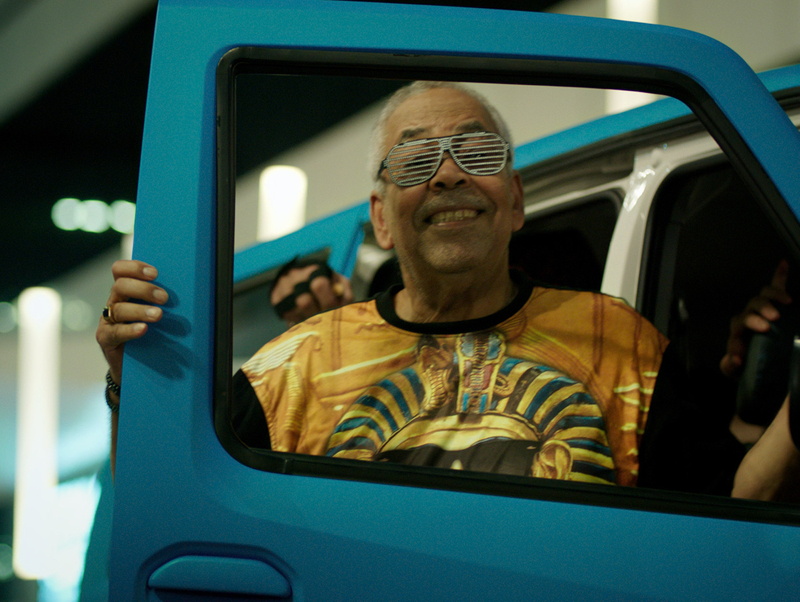 “Inspired by a beautiful short story written by Iraqi poet Karim Al Iraqi, Shabab Sheyab addresses the important and sometimes underappreciated role that our senior citizens play in society — an issue very close to my own heart,” said Al Yasiri. The principal cast includes the 80-year-old Kuwaiti actor Saad Al Faraj, 65-year-old Syrian actor Salloum Haddad, 53-year-old Emirati star Marei Al Halian, and the 57-year-old Emirati star Mansoor Al Feeli. Al Feeli also served as executive producer. “We brought together a multigenerational, pan-Arab cast of beloved actors from as far afield as Syria, Kuwait and the UAE… The whole team blew us away with the warmth, energy and passion that they brought to the project and the final film is a testament to the collaboration and lifelong bonds formed,” said Al Yasiri. Prolific Syrian actor Salloum Haddad said the script came in handy when he was preparing for his role, General Talaat, who finds himself bonding with three other senior citizens. “There are descriptions in the script that explain who this character is, what his directions and motivations are, and what his relationship is with the others in the retirement home,” said Haddad. “When you retire, you can build human relationships with people of your generation, whether they’re a few years older or younger. There becomes this human connection that can make up for detachment from your family, or from your children,” he added. 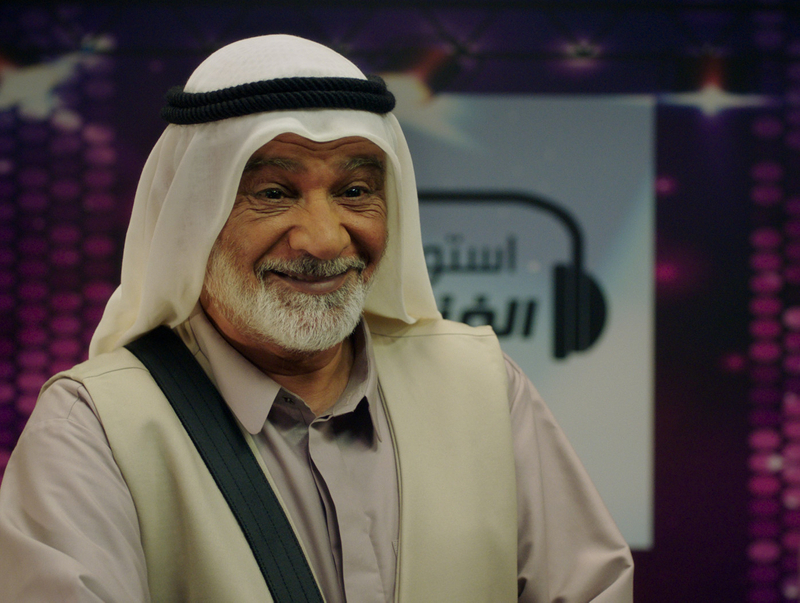 Veteran Kuwaiti actor Saad Al Faraj, who plays the character Abu Hassan, said he was able to relate to his character, to the point where it brought him to tears. “He’s someone who sacrifices himself for the sake of others, and puts others before himself. It really impacted me personally. There was a scene where I was trying to do good by one of the other characters, Al Ameed, and he took it the wrong way. I was truly affected by it. I was living the character, to the point where that scene brought tears to my eyes,” said Al Faraj. Shabab Sheyab had its world premiere at the Palm Springs International Film Festival on January 5. The Californian festival, which was founded in 1989, is touted as one of the largest in America and brings in more than 135,000 attendees annually. Image Nation has become known for taking its local films onto the global festival circuit; Ali Mostafa’s The Worthy showed at BFI London Film Festival in the UK in 2016, while Majid Al Ansari’s Zinzana showed at Fantastic Fest (Austin, Texas) in 2014. Shabab Sheyab was the first GCC film to premiere in Saudi Arabia this year, after the historic re-opening of movie theatres in the Kingdom, following the lift of a 35-year ban. The film showed in Riyadh on November 8. Ahead of the Saudi screening, Al Yasiri said he was happy about the achievement, as he believed the film would be a hit with a regional audience. “Shabab Sheyab tells a story of family, friendship and self-discovery that is universally relatable but will particularly appeal to GCC audiences — so it’s very exciting that it will be the first regional film released in Saudi Arabia,” he said. According to Al Yasiri, the film tells a “a uniquely UAE story” that celebrates iconic Dubai locations, and weaves regional voices and perspectives throughout the script. “At the same time, its life-affirming themes of friendship, family and fun are universal and the humour has resonated with audiences everywhere we’ve shown the film, from Dubai to Palm Springs. We’ve been delighted with the positive reception so far and are very excited to share this magical story with communities across the GCC,” said Al Yasiri. Shabab Sheyab is out now in the UAE.